Blooming Tulips are a sure sign that spring is here, and the bright colors and delicate shapes are a welcome change after the cold winter. 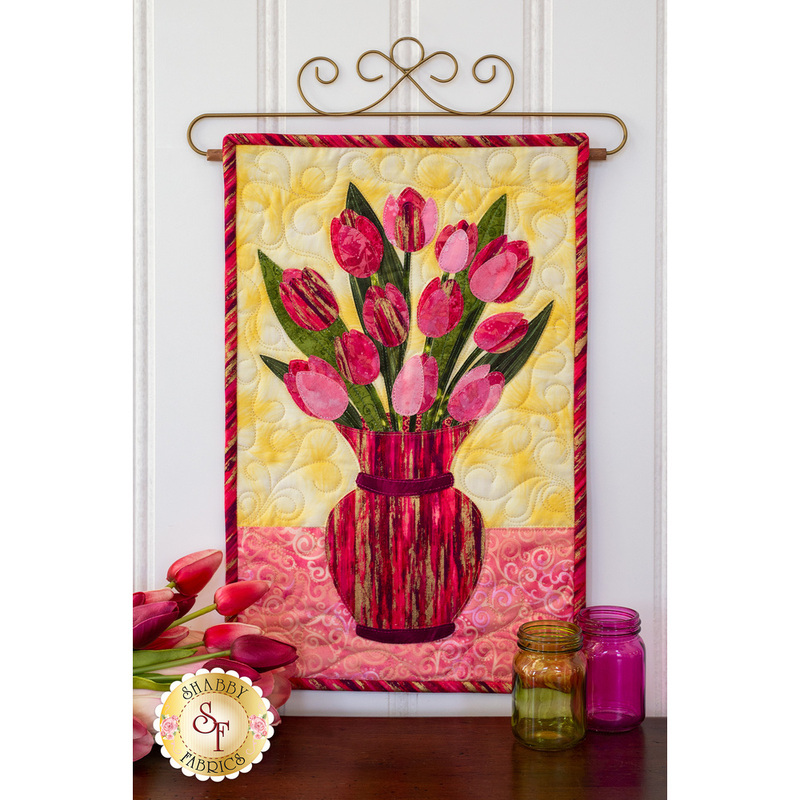 Brighten up your home and bring the freshness of spring indoors with this beautiful wall hanging that becomes a work of art you'll display every year. Enjoy the delight of colorful blooms every month of the year with the Blooming Series! A gorgeous vase holds a full bouquet of colorful flowers or a unique arrangement with a special theme. 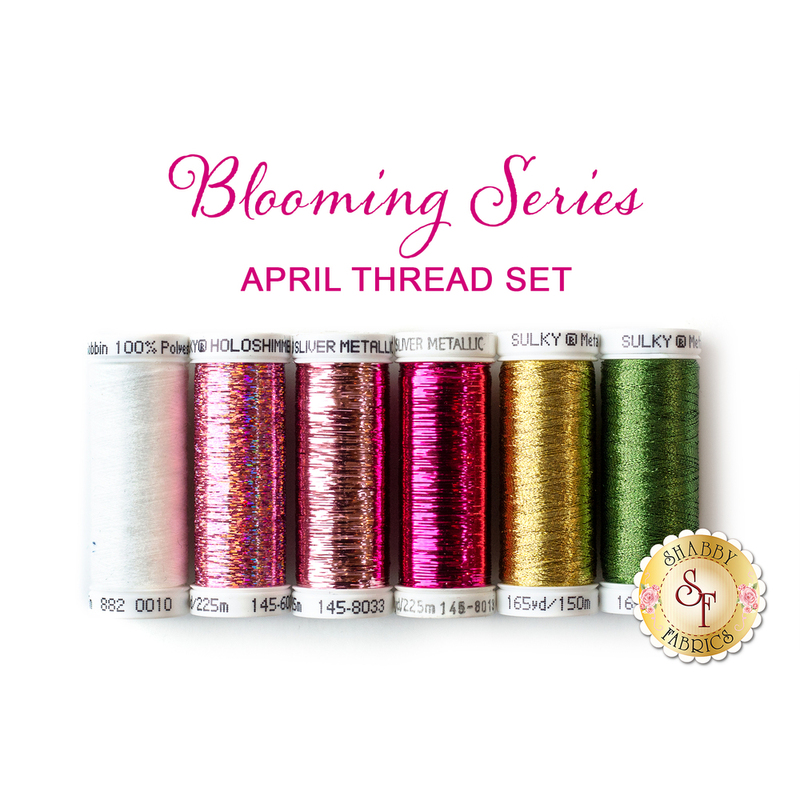 Add amazing sparkle to each of your Blooming Series designs with each months unique, hand selected metallic thread set! Fits all of our 12" craft hangers. French Curl Craft Holder - Perfect for displaying each of your Blooming Series Wall Hangings! Wafer 2 Lightbox - 12½" x 17"